some vision alive in you that you want to see manifest. Your story. Your mission. Your project. Your family. Bold action in service of the greater good. I listen for the truest, most potent callings within you. When we find them, we champion your dreams and challenge you to live true to your values when you want to shrink away from them. You are here because you want to be of service in a way that matters to you. And you care about building your life, family and business in a sustainable way. Whether your calling is the environment, the wellbeing of teens, diversity and inclusion, your family or otherwise, your ability to be of service starts with you. How are you going to choose love? What is possible when you build from the inside out, giving of your overflow? Who is there for you as you do? If you would like someone in your corner, please reach out and schedule a sample session! The session is free. This is my gift to you - a token of my appreciation for what you bring to the world...for all that your heart has to offer. You CAN build success and stay true to your values. If you are interested in coaching with me, let's schedule a Sample Session. Colleges. Fitting in. Social Media. Family. Nutrition. Friendships. Mental Health. Bullying. Body Image. SAT's. Homework. Extracurriculars. Spiritual Development. Emotional Intelligence. Creativity. Imagination. Critical Thinking. Technology. Leadership. Sexuality. ...just a few things to key your eye on, right? What would it be like to have a champion who helped you stay to true to what matters most to you as you support those around you? I have been working with teens for a decade, and my passion for working with girls led me back to the adults in their lives. YOU are the one with your daughter day in and day out, and I believe that our daughters notice how we show up. We set the tone. Our actions speak loudly. We must be the ones who love ourselves enough to give our daughters space to become who they are. And this kind of presence, attunement and flexibility is not always easy. I provide a safe space to moms who prioritize their mothering. I help moms be accountable to having the hard conversations, and I champion them when they do. Choosing love in motherhood means keeping ourselves in good shape so that we are giving from our overflow, not our depleted tanks. Let's chat about how you can nurture you! Part of the beauty of motherhood is that we all do it different, especially in this day in age. So I am here to help you choose. Please reach out if you would like to see what's possible when you are supported in choosing love in motherhood! What would be possible if girls explored their values and purpose? Young people today are bombarded with images and messages about who and what they should be in the world. Never before has it been more important for them to have guidance in coming to know the wisdom they hold within. I have watched first hand what's possible when girls learn to trust themselves and one another. Confidence and vision ignite when they start to source and sustain life from their values. 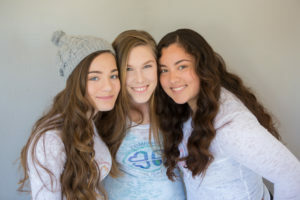 Through coaching, the major stressors teens can face - body image, relationships, social media, school, and more - are navigated with a greater sense of ease and confidence. Please reach out if you would like to discuss coaching for your teen OR if you are a teen who is seeking support as you navigate the many decisions you have to make as you lay your life's foundation. If you are looking for a speaker or facilitator for a conference, athletic or school event, please contact me. Why not visit my contact page? I would love to chat with you!